What do we want the future of he internet to be? 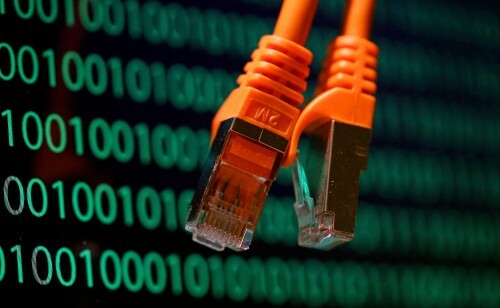 Net neutrality (also network neutrality or Internet neutrality) is the principle that Internet service providers and governments should treat all data on the Internet equally, not discriminating or charging differentially by user, content, site, platform, application, type of attached equipment, or mode of communication. A clear consensus has emerged for the FCC to adopt new rules that will strengthen the open Internet and ensure that it remains a vital engine for innovation, economic growth, and free expression. The President outlined a plan reclassifying the internet as a public utility under Title II of the Telecommunications Act. That would protect consumers by treating the internet as an essential service. He also wants the FCC to include in its new rules to protect consumers: no blocking websites or services, no throttling, no slow lanes, and greater transparency. An 80 Year Old Law Applying To The Internet? So the first part of it is the big reveal. Obama wants the FCC to treat broadband companies as common carriers. Telephone companies are also common carriers regulated under Title II of the Telecommunications Act. However, this does not mean that Obama wants the FCC to apply all the same regulations for telephones to broadband internet. Big cable companies such as Comcast who are ISPs of course. They want the ability to raise and lower prices along with offer and not offer services as they see fit in ways that are certainly not transparent to the consumer. Examples of this include “adequately marketing” reasonably priced standalone broadband to consumers who do not also take cable service from the company. They want the ability to block traffic and content where and when they see fit. They want the ability to control the speed of the service of the content provider. You know the free market and stuff makes this uncool like Obamacare according to Senator Ted Cruz. The new rules proposed by the FCC will prevent broadband providers from blocking legal content on the internet, but it does not explicitly ban companies from paying for better service. That’s bad for net neutrality as advocates have long hoped that the FCC would rise up to protect the free and open internet, after a U.S. Appeals Court came down on the side of big telecom and threw out an earlier version of the FCC’s rules. That version did make it illegal for telecom companies to offer pay-to-play deals to internet companies, but the FCC chose not to appeal. The new net neutrality rules do not address pay-to-play deals, also referred to as interconnection. By not addressing interconnection, the FCC is opening the floodgates for more backroom deals between service providers and corporations that can afford to pay for preferential treatment. This, many say, will create an uneven playing field for business on the internet, since big companies can gain a competitive advantage over start-ups with the power of their checkbooks with Netflix agreeing to pay Comcast for direct access to the company’s broadband system after months of discord over who should pay for Netflix’s increased bandwidth was resulting in poor service from the third-party providers of bandwidth to Netflix from Comcast and Verizon. Pop quiz hot-shot. Imagine you don’t have the money or connections of a Netflix to broker a deal directly with your internet service provider for increased bandwidth and quality of service. Without net neutrality, what do you do? What do you do? Support net neutrality here. There is absolutely zero reason not too. With regard to ergonomics and the sophisticated technilogy Heuer duplicate watches have been the amazing samples of athletics watches. Thanks for yet another educational web internet site. The place else could I get that sort of info composed in these kinds of an perfect method?I have a undertaking that I’m just now running on, and I have been at the search outfor such data. What is up it’s me, I am also going to this internet site on a standard foundation, this web site is really pleasurable and the viewers are truly sharing very good ideas. Check underneath, are some entirely unrelated net-websites to ours, however, they’re most dependable sources that we use. Hey there! I not too long ago noticed your site and I undoubtedly get pleasure from it. I enjoy to converse about omega xl at times. Excellent to be about, thanks a whole lot! With respect to ergonomics and the advanced technilogy Heuer duplicate watches have been the wonderful samples of sports activities watches. It is going to be stop of mine working day, even so prior to end I am looking through this wonderful submit to increase my experience. Hi there colleagues, how is all, and what you want for to say about this submit, in my see its actually incredible made for me. Hi there! Do you know if they make any plugins to aid with Seo? I’m striving to get my weblog to rank for some specific keywords and phrases but I’m not looking at extremely good gains. If you know of any please share. Many many thanks! What is up it is me, I am also going to this internet site on a typical foundation, this website is actually nice and the viewers are really sharing excellent views. Thank you for some other excellent report. In which else may possibly just any individual get that variety of info in these kinds of an perfect indicates of creating? I’ve a presentation subsequent week, and I am on the lookup for this kind of info.